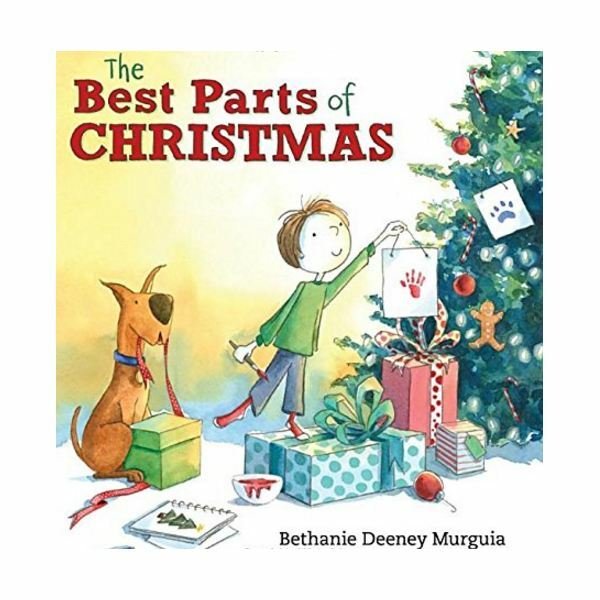 In the book, “\The Best Parts of Christmas by Bethanie Deeney Murguia, little Fritz was in charge of decorating the family holiday tree. He took the box of ornaments and instead of scattering them across the tree; he placed them together as he felt the ornaments wanted to be next to each other as friends. Now, how should he decorate the rest of the fir? Well, there are candy canes and mother’s gingerbread cookies, but Fritz realized that anything could be an ornament. So, he found baubles and things he made for the holiday tree. He loved the tree and the tree made him happy. Now, after the holidays pasted and the tree was bare, it was time for it to leave the home. This made Fritz sad, but he came up with a good idea. After you read this book to your class, ask the children how they can celebrate the holiday spirit all year long just like Fritz. Here are a few activities and crafts to place in your curriculum to enhance this holiday story. How does your family decorate your home for the holidays? Do you help decorate the tree? What else does your family do to prepare for Christmas? Do you exchange presents? Where does Santa leave the packages? What do you eat for Christmas dinner? Do you celebrate with other family members? On a Merry Christmas night. Let’s decorate the Christmas tree. We’ll make it bright and gay. But I will surely need your help to make it look that way. Place red balls everywhere, then some of pretty blue. Yellow adds bright color – purple and orange too. Add a splash of pink and then some of green. Now isn’t it the grandest tree that you have ever seen? Place an evergreen tree made of construction paper on the bulletin board. Talk about what can be used to decorate this tree and relate back to the story how Fritz thought of unique items to place on the fir. Have each student bring in an item from home to decorate the paper tree, such as rickrack trim, colorful buttons, ribbons, stickers, and such. The children can even cut out toys from catalogs to place under the tree as presents. The teacher can draw a large circle on the cardstock (one that will allow a handprint inside). With a brush, paint the child’s hand with tempera paint. Carefully place the child’s hand inside the circle and press down to make a handprint. Let dry. Once the print is dry, invite the child to decorate the circle with glitter and small baubles that can be glued on. Let this dry again. Carefully cut out the circle. The children can do this if they have developmentally learned this skill. Punch a hole at the top and thread it with ribbon or yarn. Make sure to place the child’s name and date on the ornament.